Today, we are excited to introduce 12 new developers to the Alexa Champions program, which is a recognition program that honors the most engaged developers and contributors to the Alexa community. Now, after much deliberation, we are excited to announce the winners of the Alexa and Arduino Smart Home Challenge. Each winner will receive prizes designed to help them kick-start their prototype device into production. We are excited to announce a new competition that invites makers to create the smart home gadgets of the future. We’ve teamed up with Arduino, the world’s leading open-source hardware and software ecosystem, and Hackster.io to bring you the Alexa and Arduino Smart Home Challenge. Today, we are happy to announce the winners of the Amazon Alexa Skills Challenge on Alexa.DevPost.com. To celebrate its first anniversary, Echosim.io is releasing a new developer console in Echosim.io to make skill testing even easier. The console exposes the incoming and outgoing JSON messages between Echosim.io and the Alexa Voice Service (AVS). We are happy to announce a new Amazon Alexa Skills contest with DevPost, the developer-focused job search and hackathon company. We are challenging developers and designers to create unique new skills that make Alexa smarter. To compete for over $40,000 in prizes, you will need to create an original Alexa skill. This is our most open-ended challenge yet. Will you turn Alexa into a concierge, sous chef, fitness coach, personal shopper, or DJ? You decide. The challenge starts now – sign up! In September 2016, we announced that Amazon Echo, Echo Dot and Alexa were coming to the UK and Germany. Since then, developers have created hundreds of great new skills for customers in these countries. Today we’re excited to announce that the community website Echosim.io has made it even easier for you to build and test your skills by adding new language models for English (UK) and German. In October of last year we worked with Hackster.io to launch the Amazon Alexa API Mashup Contest challenging developers to connect their favorite public APIs to Alexa. Developers submitted 163 projects that connected Alexa to the APIs of companies like Slack, Medium, Yelp, and many others. Special thanks to everyone who competed in this contest. We were impressed by the creativity, quality, and high number of entries. We encourage you to browse through the projects. Each one comes with source code and documentation that might be a helpful reference when you code your next Alexa skill. We are happy to announce the Amazon Alexa API Mashup Contest, our newest challenge with Hackster.io. To compete, you’ll build a compelling new voice experience by connecting your favorite public API to Alexa, the brain behind millions of Alexa-enabled devices, including Amazon Echo. The contest will award prizes for the most creative and most useful API mashups. Create great skills that report on ski conditions, connect to local business, or even read recent messages from your Slack channel. If you have an idea for something that should be powered by voice, build the Alexa skill to make it happen. APIs used in the contest should be public. If you are not sure where to start, you can check out this list of public APIs on GitHub. Ask Automatic if you need gas. Ask Area Code where is eight six zero. Ask Uber to request a ride. We’re looking for the most creative and most useful API mashups. A great contest submission will tell a great story, have a target audience in mind, and make people smile. There will be three winners for each category; categories are: 1) the most creative API mashup and 2) the most useful API mashup. First place will get a trophy, Amazon Echo, Echo Dot, Amazon Tap, and $1,500 gift card. Second place will get a trophy, Amazon Echo, and $1,000 gift card. Third place will get a trophy, Amazon Echo, and $500 gift card. 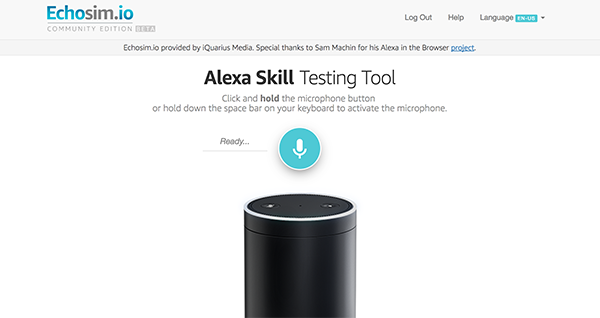 The first 50 people to publish skills in both Alexa and the Hackster contest page (other than winners of this contest) will receive a $100 gift card. And everyone who publishes an Alexa skill can get a limited edition Alexa developer t-shirt. Get started by visiting Hackster.io and sign up to participate. The Alexa Skills Kit (ASK) enables developers to easily build capabilities, called skills, for Alexa. ASK includes self-service APIs, documentation, templates and code samples to get developers on a rapid road to publishing their Alexa skills. For the Amazon Alexa API Mashup Contest, we will award developers who make the most creative and the most useful API mashups using ASK components.